My girls loves to watch the Winx Club on youtube. They particularly like the theme song "This Big World". They always song along and also want their singing to be recorded on my hand phone again and again. Later, they will playback to hear how their singing like. They have got the interest in singing, probably this is inherited from the Daddy, a little bit of the Filipino side of them. With the request of my girl, she wants this video clip to be embedded in my blog, so she can be reminded this is one of her favourite songs when she visits my blog in months and years later. On the other note, I have received a giveaway prize from Hayley through Poslaju yesterday. In fact it was delivered to my home but we were out to work and school. I only managed to collect it from the Pos office the next day. 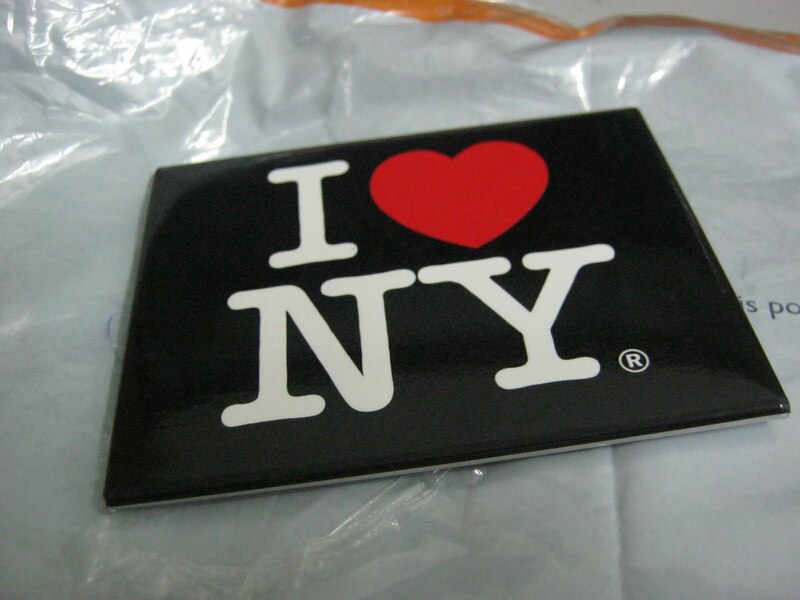 A souvenir from New York during her holiday to the US last year. Thanks Hayley!! It is now on our fridge together with the rest of my collection of magnets.